It would be fair to say that in forty one Big Personality interviews so far, the vast majority of people have had a little surprise or two woven into their life’s tale. Some of these personalities I know well, some I don’t know at all and others I know only from eating in their restaurants, shopping in their shop or listening to their band. Whatever the situation, if I have asked them to chat then I usually have a sense of who they are and what might make them tick. So, as I was preparing to meet up with Praveen Kumar of Tabla Restaurant I felt sure I had a good fix on the man I was about to meet. Always smiling, impeccable in his welcome and with an air of proper, old-fashioned manners and gentlemanly behaviour, I expected a tale of a mild man, perhaps second-generation Indian with a family history in restaurants there to explain his almost innate sense of how to do hospitality well. This preconceived notion was bolstered when he arrived at Parklands to meet for morning coffee, carrying a beautiful bunch of flowers for me and a bag full of family photographs. However, I was to discover that our friend from South Street has a quiet, feisty side that has carried him on a single-minded journey from a small village in the South of India, via five star establishments, through Montego Bay and finally to our Small City of Perth. His tale is epic (I made him agree if he ever does a book that I can be his Ghost Writer) and strengthened with the love of his family, the traditions of his homeland and a genuine gratitude and humble respect for the village that made him the man, husband and father that he is today. 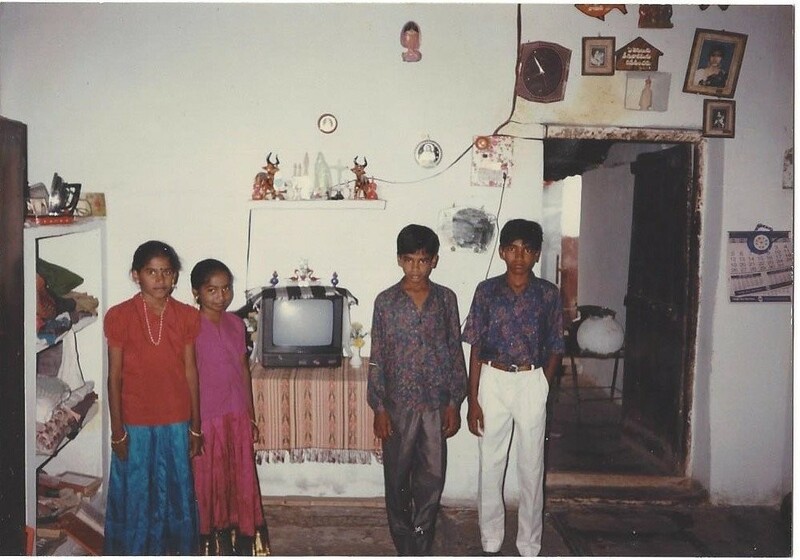 Praveen was born in 1979 in a small village called Mattampally which is near Hyderabad in South India. The village is small, with only 1500 inhabitants who all rely on the rich agricultural land for their living. 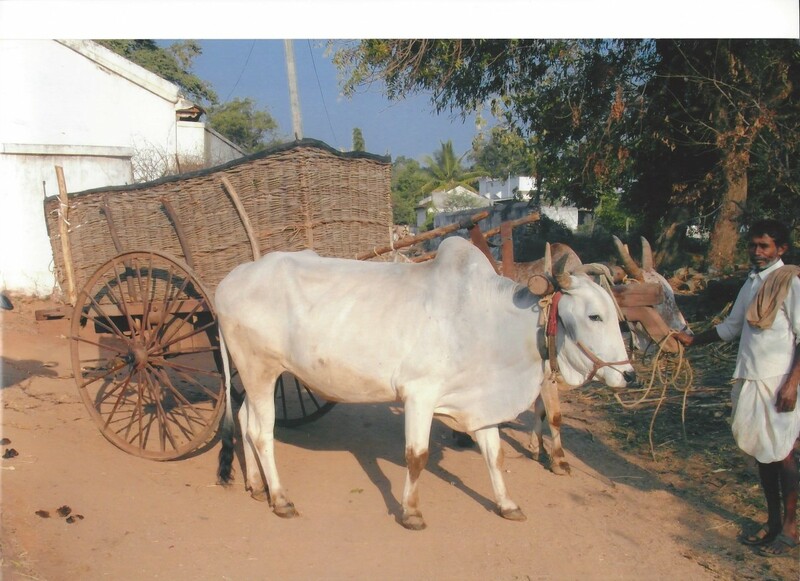 “Growing up, there was still a caste system of sorts with villages split into priests, landlords, tradesmen and labourers. My grandfather had inherited our family spice farm from his grandfather and so we owned some land and were landlords in our village – this didn’t make us rich but it gave my grandfather and father respected positions. 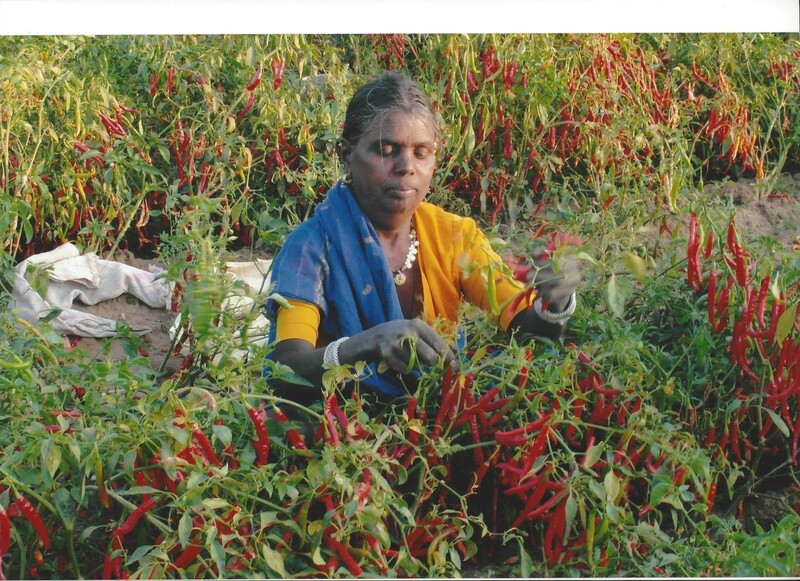 We grow chillies mainly, sun-dried chillies, and chickpeas, tamarind, mustard seeds, cumin, cotton and bay leaves and other spices. Our family home was a small building with a main living area, a kitchen and a hall. There were no bedrooms for us kids, we just pulled down beds in the communal areas at night time. You didn’t need a fridge because you walked outside and picked what you were eating that night; if we had too much, say Okra, then we’d give it to my aunt next door, or to my granny or another neighbour and they’d do the same for us when they had extra. School was ‘so-called’ because you went along from 9am to 3pm and if you liked it you’d listen, but if you didn’t you could just play and carry on. By the time Praveen is 14, he is still in shorts, still a skinny boy and his basic reading and writing skills are all in his native language of Telugu. What he can see in front of him though, is the village priest who is looked after by the people and given offerings of food from each different family. The village is Catholic and the priest holds the highest place in the communal system with a luxurious life that includes a house, a maid, a car, a refrigerator and a colour TV. “And my aunt was a Nun, and she was by far the most educated person in our family. All I could see was this life that I wanted to be part of and so I decided I’d become a priest. Not the right reasons for joining at all but you know, I was young and I thought this would be the way to a nice life. 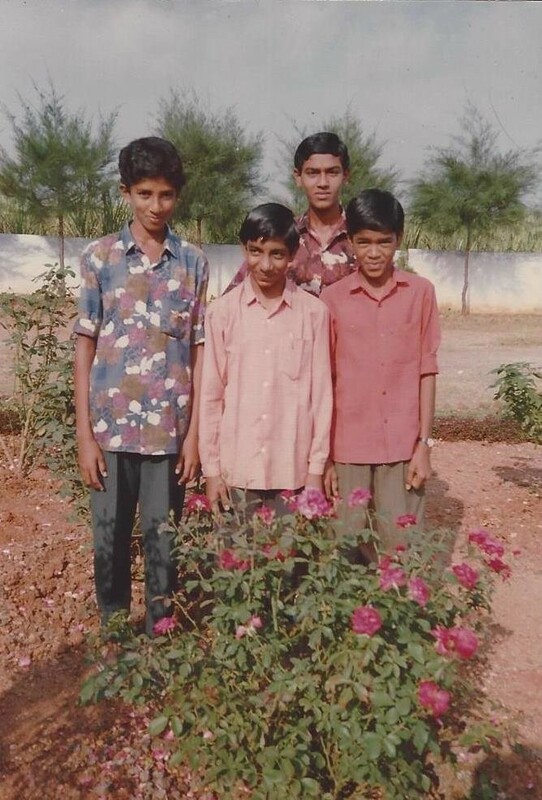 So I went to my father Bala Reddy for his approval; he wasn’t convinced at first but he agreed and I went with three other boys from my village to join the Seminary. The first year was good – I learned English, I read the bible and I was sent to college to be educated. Everything we needed was there. 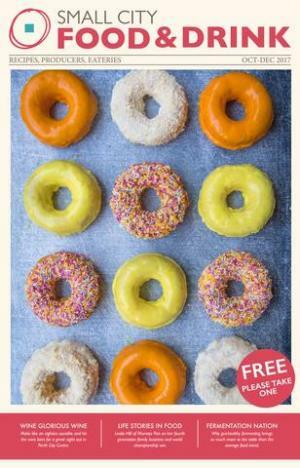 We were given food, clothing and the luxury of one phone call every week. My mum and dad would wait by the only phone in our village so I could call them and tell them about my life. The only problem was, I was still a bit naughty – I was training to be a priest but I was outspoken and I liked to chat to girls. Eventually as the years progressed I settled, I learned that my actions affected others and slowly I came to realise I had to be a more thoughtful person. Out of the thirty eight that started only three went on to become priests. We knew nothing of the world, nothing of this big city we were allowed out into four hours each week – we had mainly seen a way out of village life. The rector called Praveen’s Dad, which was normally to tell a parent that their child had been misbehaving! He sat his Dad down and explained that Praveen had too much energy, too much character to live the life of a priest. He painted a picture of a young man who was constrained by the boundaries of priesthood, who couldn’t flourish or fulfil his potential through life in the Seminary. He then explained that Praveen had picked up accounts and commerce easily and quickly – and that if there was an event to be arranged he was the young man that everyone wanted on side. “No doubt in my mind that my mentor changed my life with that conversation. He gave my dad a list of things I could be – an accountant, an economist, a planner… But I already had other ideas! I’d been chatting to one of the other guy Ravi and he showed me this photograph of these ships and amazing buildings like I’d never seen before. It was from his brother who worked for Disney Cruise Liners at the time – he was always sending my friend gifts from America, like new trousers and sunglasses. I was gripped by it all. Praveen was inspired! He decided there and then that he wanted to study Hotel Management and go to work in America. He showed the letter to his Dad who was outraged at first. He saw this job as one of a waiter – not fit for the son of a landlord. Now, rightly or wrongly this mattered a great deal; charged with the list that he had been given by the rector showing his son as an accountant or an economist, his Dad refused to entertain the idea of Praveen studying to work in hospitality. “The big problem was he had this idea of me as a waiter, a labourer because we don’t go to hotels in my village. If you want to celebrate you kill a goat, or you kill ten chickens or you send someone to the pond to catch a big fish. You pour a nice kick of Toddy from the palm tree and you have a celebration in the house. That’s it. No hotels. But he had no real idea of this at the time – he was driven by the photograph of big ships and five-star luxury. It was all he could see. This vision of him managing these awe-inspiring buildings was a force to be reckoned with. So he decided to enlist the help of his favourite uncle Joji Reddy, a successful poultry farmer who lived in the city. “My uncle was close to me in age and I respected him hugely. When I finished at the seminary I went to work on his farm for the summer. We would chat about what I wanted to do and I told him my vision, my dream of the hotels and America. He could see it – he had the confidence in me and he believed I could achieve it. It is here that we need to sit back and remember the vastly different culture that Praveen comes from. To sell land in a small village in India is deeply shameful; it says we can’t afford this or we can’t work this land. No matter how little money it is making, never, ever would you sell land. So Praveen said no, he didn’t want him to do that. The guilt at what he was asking was beginning to grip him but it turns out the decision was made – his dad sold seven acres and there was enough money now for Praveen’s first two years study. Praveen had started sharing his vision with other people in the village and everyone was excited at the prospect of their friend and cousin going off to the city to run five-star hotels. 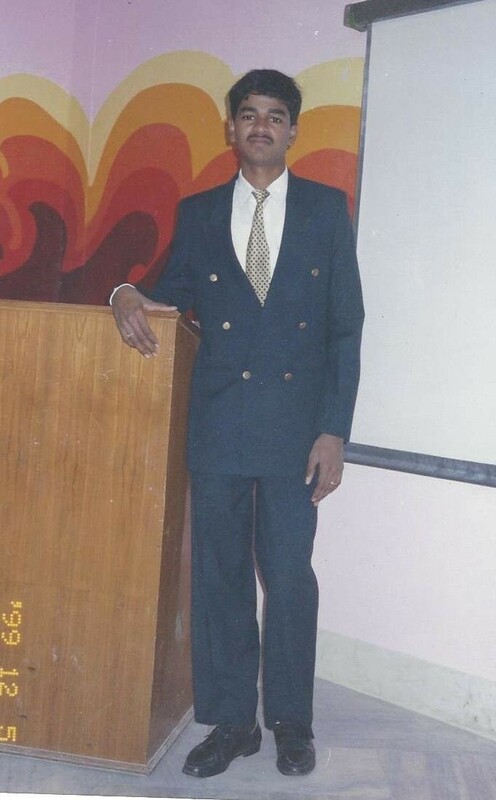 In 1997 Praveen headed to Vizag to start his degree in Hotel Management and his new life. With all the money the family could muster now poured into fees he knew he couldn’t ask for more and so had to find a way to support himself. He would study from 8am to 2pm and then head to a gathering point in the city where companies would come down looking for that evening’s labourers - there is no part-time culture in India, you simply work the shift that is available that day. He worked as a kitchen hand, a waiter, a wedding planner. Men would appear and ask for ten labourers, pile them all into an open truck and take them to the event, hotel or restaurant where the job was. He was paid about 100 rupees a shift, around £1, and this covered his rent and his food. “I couldn’t tell anyone I was studying or that I was the son of a landlord or they wouldn’t have hired me. And my dad was so ashamed that I was a labourer I eventually told him I had a scholarship. In the day I was learning French Cooking, HR, wine skills and more and at night I was doing anything I could to make my rent. We chat a bit about this strange life he was in; at college he was the poor boy from the village who had to labour at night to feed himself and who couldn’t afford the lifestyle of his rich friends. But when he returned to the village to visit, they saw him as this big shot superstar, in the city learning how to run luxury hotels. Praveen didn’t let either opinion sway him; he remained single minded and fixed on his goal. Twenty four were shortlisted based on their grades and after a round of HR interviews where they established communication skills and general attitude, eight students were sent to be scrutinized by the General Manager. Convinced his English was too broken and his accent wasn’t posh enough he knew all he could do was share his vision and so he painted his picture of America and the five star hotels. He told the tale of studying 8am – 2pm and working at night in kitchens and at weddings. And then our bold Praveen asked him outright for the opportunity. Mr Mumjudar did what any good manager would do – he employed the boy who was learning the guts of his craft while the others were sitting in the movies. After year four Praveen was given a full time job at The Park and he knew he had made all the right choices. His dad as now on side, to the point that he had contacted a distant relative who worked as an educational consultant and told the tale of his son, the five-star hotel manager. This relative secured Praveen an interview at Dublin University to do an MBA in hospitality management and on being accepted Praveen left his job and returned to his village to wait for the visa to arrive. His three month appraisal came round, he explained his vision once again and so as well as being impressed by his work ethic and standards, his boss became sold on this boys’s dream and secured Praveen the next operational manager’s post that came along. Praveen was running a fine-dining Indian restaurant Akbar in Montego bay Jamaica and earning enough money to start paying off his uncle’s loan. It was frequented by everyone from the Prime Minister to American Senators and stars like John Travolta. He insisted in helping in the kitchen, cooking at lunchtimes in order to polish his chef skills. His story would be told often as people asked him how he came to be in Montego Bay. One of these people was Kapil Sharma, the Food and Beverage director of Sandals resort. His contract was for three years; he was tied. Amil said no straight away and so Praveen went to his business partner Rajiv and convinced him to release him to work with Sandals full time as long as he promised to work part time for them. He knew that he owed Anil his loyalty so for the remaining eighteen months he did their marketing free of charge and moved up to the position of Assistant Food and Beverage Director position in Sandals. We have to charge through things a bit here, to get Praveen to Scotland and Perth! I swithered about which side of his story to give more emphasis to and I decided it was the first half – the village boy with the vision is who he is. Beneath that perfect host, that gentlemanly manner is a man so focused and so determined that he sacrificed hours and days of his life in order to follow his dream. Here is a boy who boldly asked for opportunities, and who realising eventually just how big this ask had been, worked tirelessly to prove he had been worth the trust and belief that had been bestowed on him. So the short version is after much soul-searching he arrived to work in Turnberry as their head waiter. He found it difficult to start with but he was earning good money and it was here that he paid off his loan. He enjoyed training the junior staff, using the skills he had learned in the Seminary to read people and get the most out of them. But he needed more and moved to an operational manager’s role in Menzies Hotel in Stratford-Upon-Avon. Now, we have to interrupt his career path at this point, because while Hotel Menzies was a great learning curve for him, this period in his life was made for bigger things. At twenty eight he was settled, successful and ready for the next stage in his life; marriage. 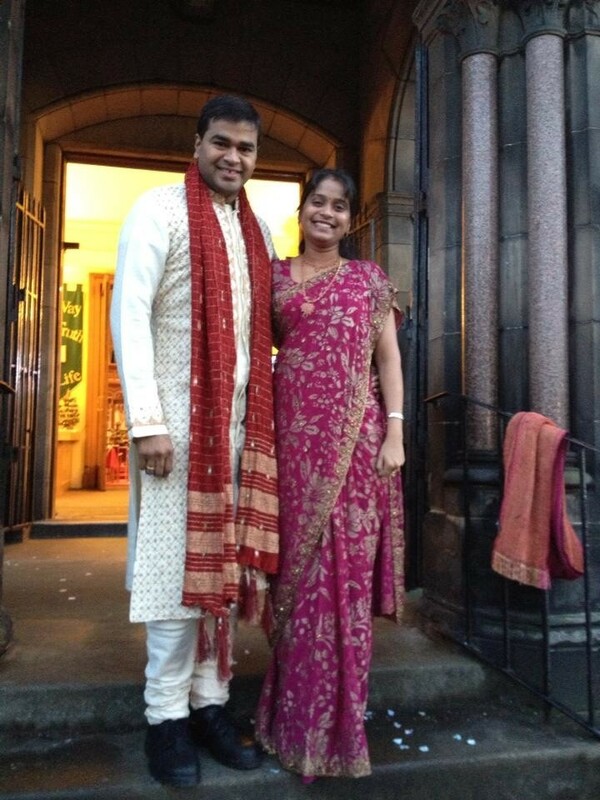 Praveen may have made his home in Scotland, he may have kicked against some of the family’s expectations of him but he was happy when his dad called to tell him they had found a nice Indian girl from the neighbouring city that they’d like to arrange a marriage with. “I trust my family, I trust they will choose well and do right by me so I agreed to chat to her on the phone. 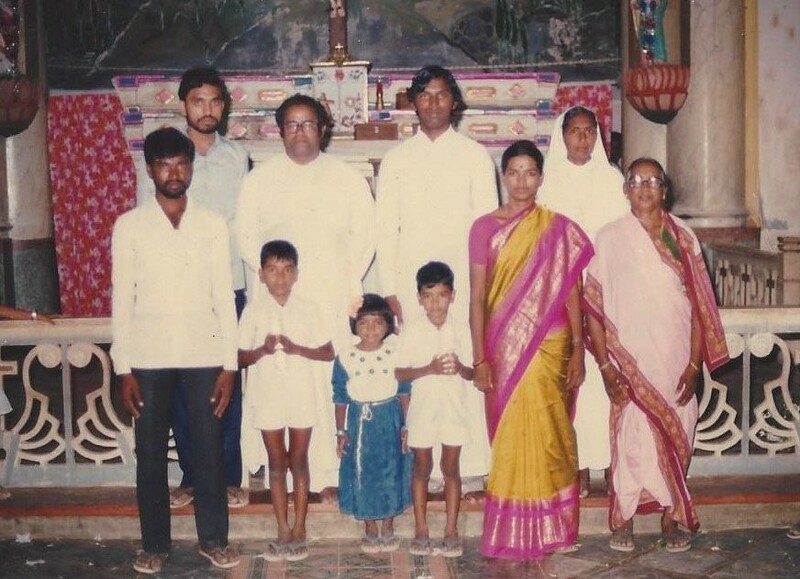 My mum told me that my uncle attended church with Swarna’s family and had known her since a baby. They had already done all the talks with her family to ensure that we were a good match and my father had sent a proposal with my uncle. I know this sounds weird and odd to you, but this is how we do things. So my mum says ‘We have found a lovely girl’ and sends me two photographs, no makeup on very casual and I liked her straight away. So I agreed to speak to her on the phone and then we set up a video meeting. This isn’t normal of course, usually I’d have gone to her house to meet everyone but I was in Scotland and she was in India. The first time I met her in the flesh I was marrying her; we both had faith in the fact that our families had researched well. 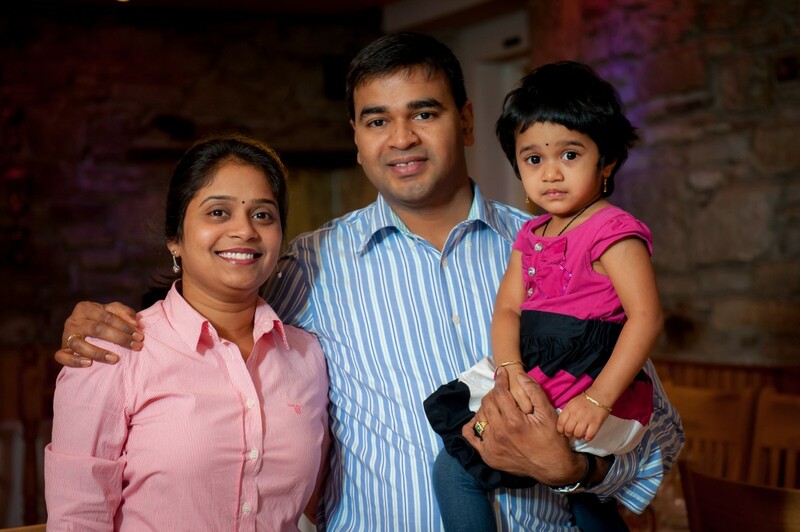 With Swarna by his side, Praveen started as the assistant restaurant manager of Deseo in Gleneagles in 2007 and loved every minute of it. After 18 months he was promoted to In-Room Dining Manager and it was here that he was to enjoy working with the high-end clientele Gleneagles is famed for. “John Travolta arrived and I reminded him we’d met in Jamaica. He said ‘No way! Are you kidding me?’ We chatted about Montego Bay and after that I was the person who looked after his son, Jet when he came over to stay. He wrote to me personally after the tragic accident. We met all sorts of superstars; Elton John, Princess Anne… lots of people. I loved it. I realised I was living my dream. I may have changed America for Scotland but that’s only because I had learned as I grew. So with my goal reached, naturally I was asking ‘What next?’. I had an e-bay business, I cooked for friends and I’d started my cook school demos for certain guests. But I was ready and looking for a new challenge. That’s when my friend in housekeeping told me about the Ali’s Tandoori place coming up for sale in Perth. I went to see it and almost straight away I gave him my price. I tried to push for a September opening because I couldn’t own a business until a change in my visa had been made. But he said no. It had to be now. Thankfully, Swarna was also keen to open the business; it had become a joint vision! So she left her job in the co-op and became the front of house manager and owner of Tabla! 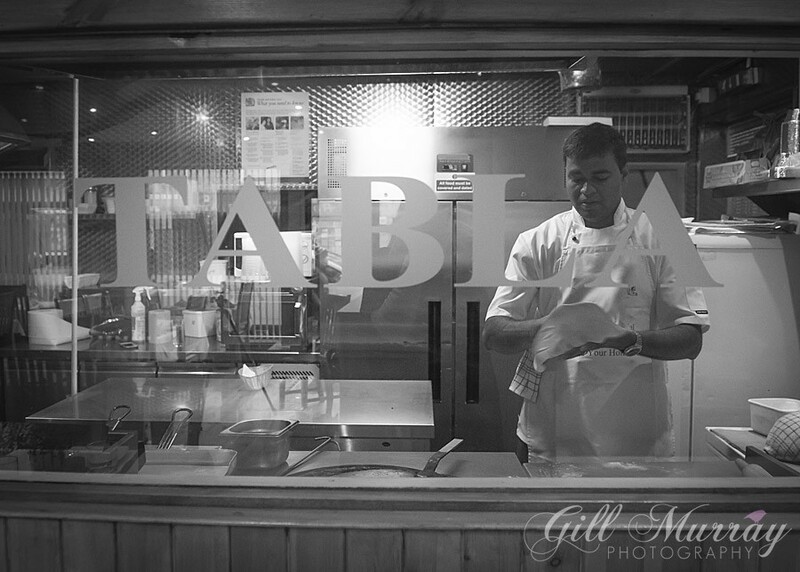 I worked at Gleneagles during the day, 7am to 4pm and then came into Tabla at night to cook. As is the way in life, the plan didn’t really matter because in 2011 Swarna discovered she was pregnant with their first child and the turnover became irrelevant! 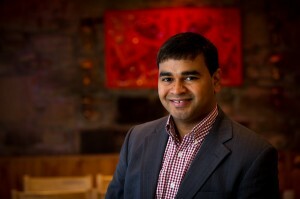 Praveen left Gleneagles and took over the reins of Tabla full time. A decision he is very glad he was forced into making. “It has been incredible. Swarna built up the trade and people seem to really like what we do. When we were able to secure the import of the family spices it all felt right, like this was what we were meant to be. We source locally, we cook great food and I’m proud that Sagar, our original cook is still with us and enjoying the success we’ve all worked hard for. My vision for Tabla was to be able to share my experience with my customers, my experience of home cooked Indian food that was tasty and delicious. 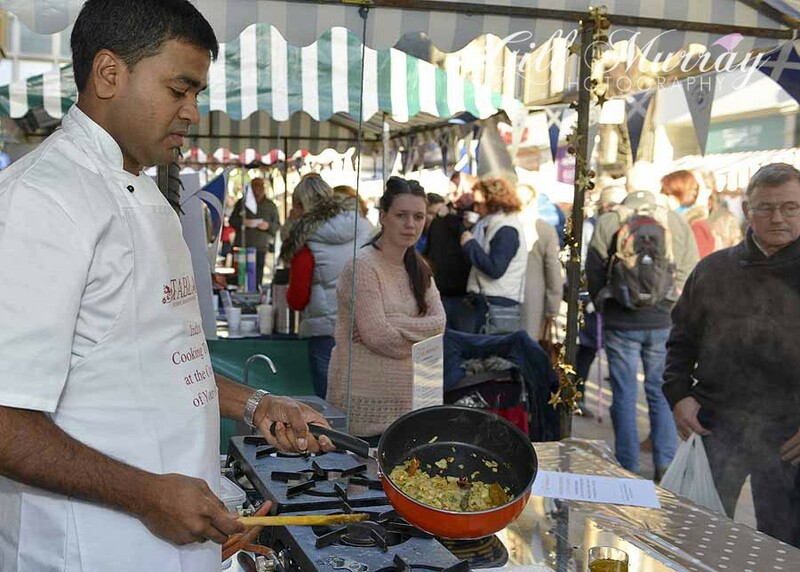 And of course, as we all know Praveen also does Street Food at local markets (here he is at our own #SmallCityRecipes demo! ), he does Indian Cook School demos with Sarah Mellerish at Let’s Cook Scotland and he offers authentic Indian Cooking lessons in your own home. Add to this the fact that he is currently planning a frozen curry range that he will sell through delis and butchers and you will begin to realise that when he says ‘What Next?’ he really means it! He is busy, busy, busy. “Ah but I have mornings off to spend with Tanvi. I’m lucky, I get her to myself for a while when my wife goes to work. After her maternity, Swarna didn’t want to come back to Tabla. The restaurant may have become a joint dream and as much as she was happy to help me to get it running, she is a very smart woman and she needed something for herself. She works at the HSBC Bank now and she enjoys it very much. I occasionally pull her on for a shift but not too often! 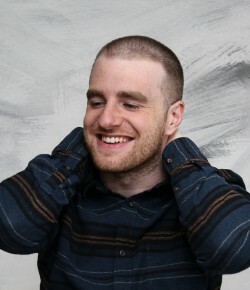 He is smiling proudly at the thought of his little girl and her big voice. I ask Praveen what his dad thinks of all this; his life in Scotland with his own business and family. “He’s okay with it now! He came over after Tanvi was born and we went out to Gleneagles so I could show him the journey I’d had. I think he understands it. That’s important to me, to be a good son and to be mindful of what they sacrificed and the trust and belief they put in me. Others wouldn’t have had my opportunities – I know that. We are on our second round of coffees sitting in Parkland's Back Bar, all the way through our chat he has pointed out photographs of people who have made his journey possible. He is alive with his tale, humbled by the chances he has taken and been afforded. 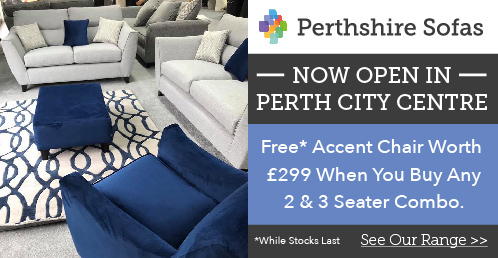 Bold and fearless choices have driven this man we have all come to regard as one of us, a Perth stalwart, Indian accent softened slightly with a wee Scottish twang, occasional snippets of a Perth dialect peppering his chat. He is a respected businessman, a warm and friendly host and a man who loves his wife and daughter above all else. I ask him to think about his first glimpse of that photograph that was set his path across the globe to Perth. Did he see it coming? 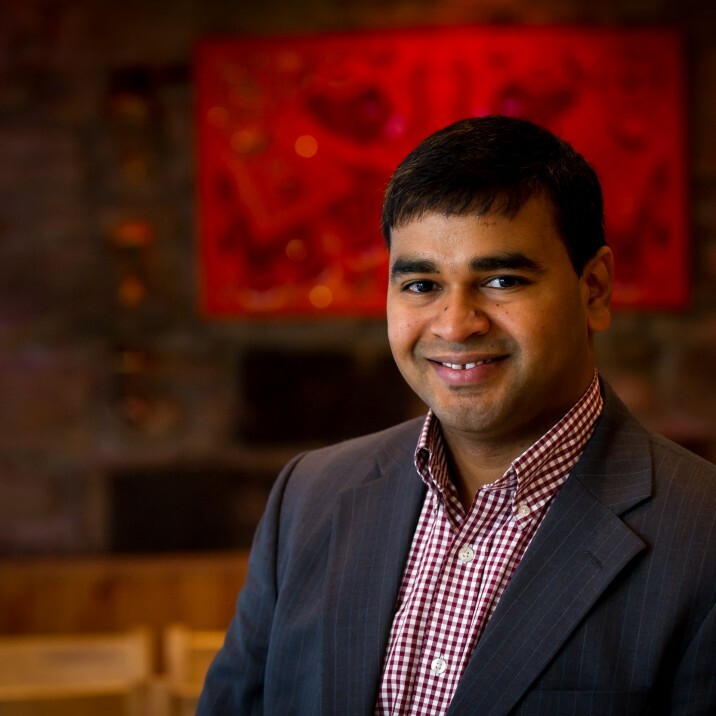 You can find out more about Tabla Restaurant, Praveen's Indian Cook School and lessons with Let's Cook Scotland by clicking over to the Tabla Directory Listing here on #SCBP and following the links! Scott Burton's path from troubled teenager to minister of St Matthews on Tay Street is as surprising as his pink mohawk! Here's how it all happened! Graeme Pallister, Chef Patron of 63 Tay Street in Perth talks about his life's great passions and the road that has brought him to rest at happy. Read all about Peggy Brunache, the woman behind the soul food at Southern Fried Festival in Perth.